Motorcycle Crash-bars Engine Bars for the BMW R 1100 GS are constructed of heavy-duty mild steel. 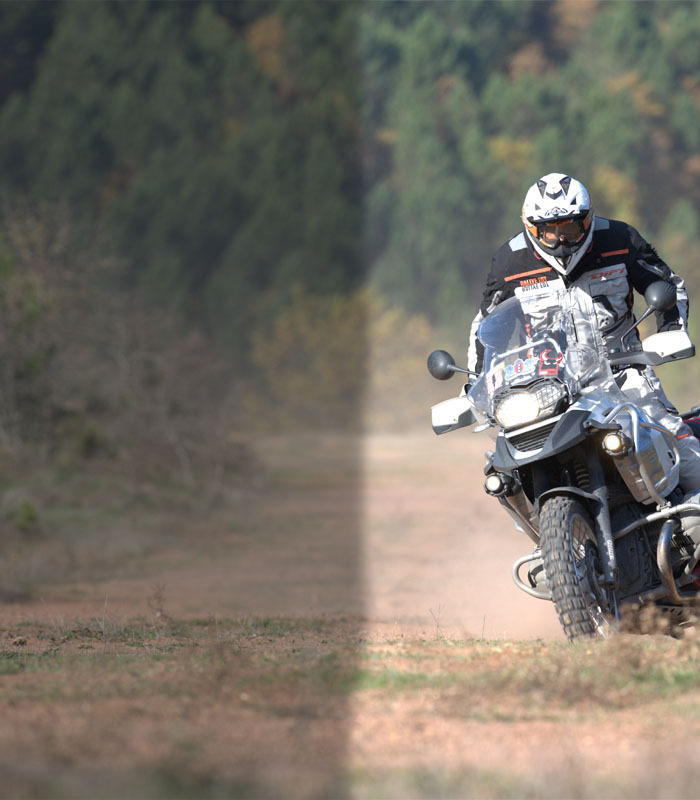 SW-MOTECH crash bars are designed to provide maximum protection, optical integration and high-quality fit and finish. 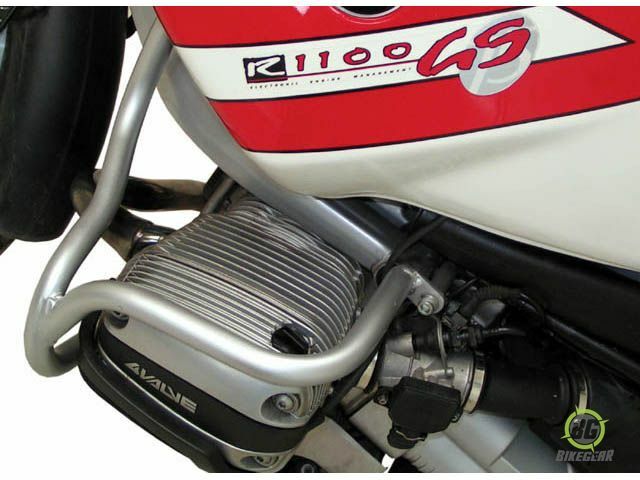 They provide protection to both the fairing and engine without interfering with oil changes or removal of cylinder head covers for valve adjustments. 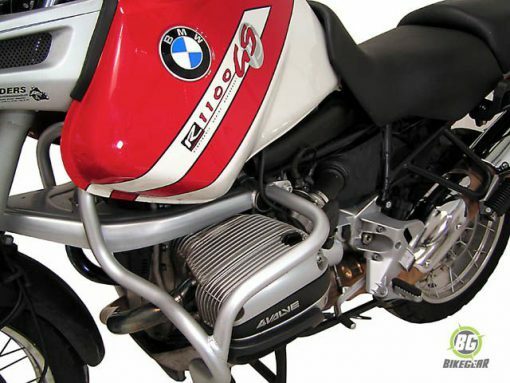 The metallic silver powder coated finish has a gloss clear topcoat, providing an additional layer of rust protection and fits in with the aesthetics of the bike. The current version of this crash bar is compatible with most aftermarket front suspensions.